This refreshing beverage is just right for any summer event. Welcome guests on Easter morning with this leisurely make-ahead menu. Festive champagne flutes filled with fruit juice and a quick-to-fix casserole spooned into colorful ramekins add the finishing touches. Lightly spiced with the rich, moist flavor of carrot cake, Morning Glory Muffins are the perfect match for softened cream cheese and pear preserves. Sparkling Punch is light, fresh, and easy on the eye. Guests of all ages will enjoy the alcohol-free version, but try our Champagne-enhanced variation for adults-only gatherings. And you can even make it ahead: Simply mix and chill the juices for the punch, but don’t add the club soda until just before serving. You’ll be ready for your guests at a moment’s notice. 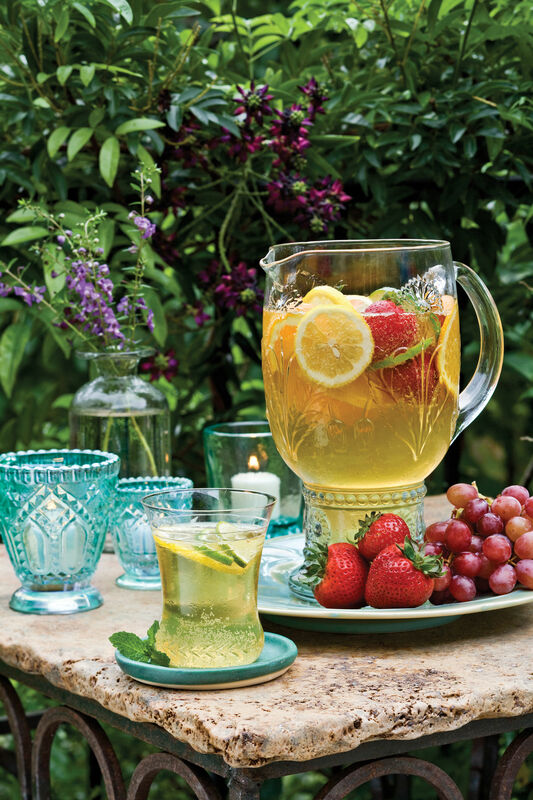 "Have a Sip" is from the June 2008 issue of Southern Living.